Nowadays, interior design favours the trend of open space and combining several functions on large usable area. Living room, traditionally associated only with rest, today is designed mostly as a relaxation zone. 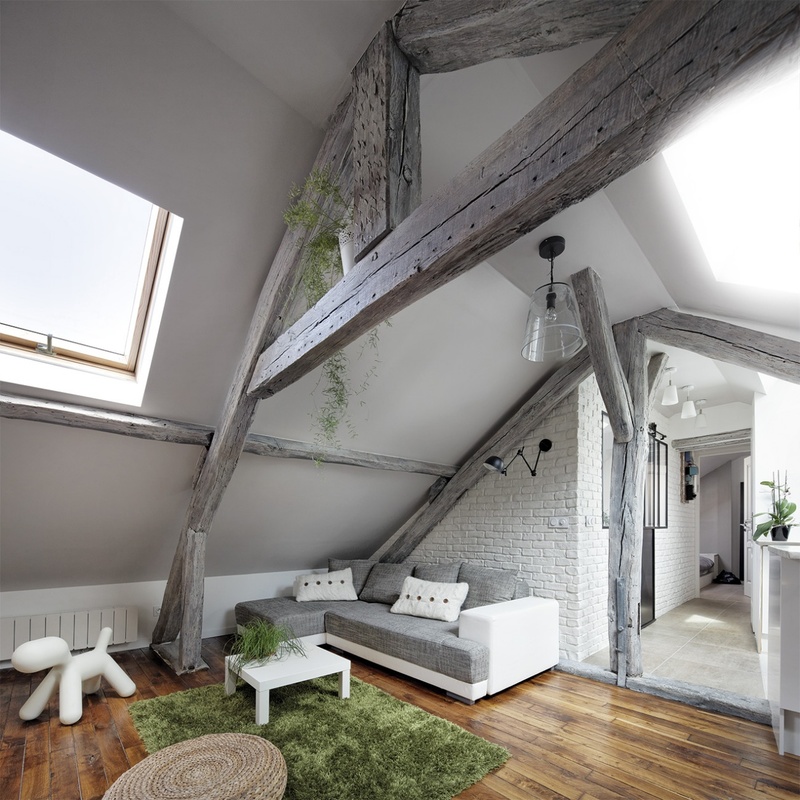 Arranging such interior usually starts with the geometric separation of functional zones, which in the attic due to recesses and natural sloping of the roof requires an individual approach to each project. One should be in mind that bright, neutral colours and ample natural light will optically enlarge the space under the roof, while dark accents will be an additional advantage giving each interior a remarkable character. With the appropriate creation of space you can design functional, multi-purpose and comfortable living room to suit individual needs of even the most demanding residents. When separating functional zones in the attic look carefully at its shape. 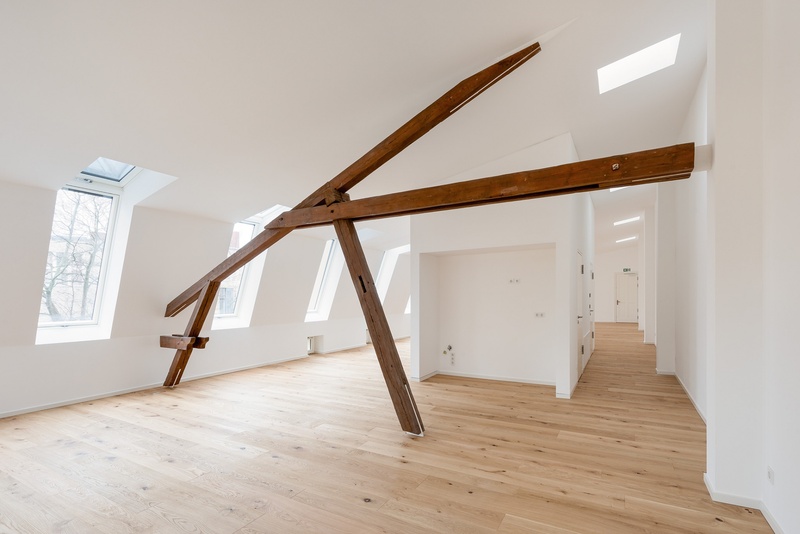 For this purpose, use recesses, natural sloping of the roof and presence of structural beams. Comfort zone should be situated in the centre of the living room. The minimum size should be as large as the space occupied by comfortable double sofa and small coffee table. Open spaces have become very popular within the last decade. By combining living room, kitchen and dining room you get spacious interior under the roof, which will be additionally optically enlarged thanks to the use of bright colours and the combination of FAKRO roof windows. Small operational area of the studio requires proper interior design under the roof. A small table situated in the transition to the living room will be an ideal solution for connecting comfort zone with dining room. Separating the space for mini office comes down to placing a chair and a small desk in the living room. 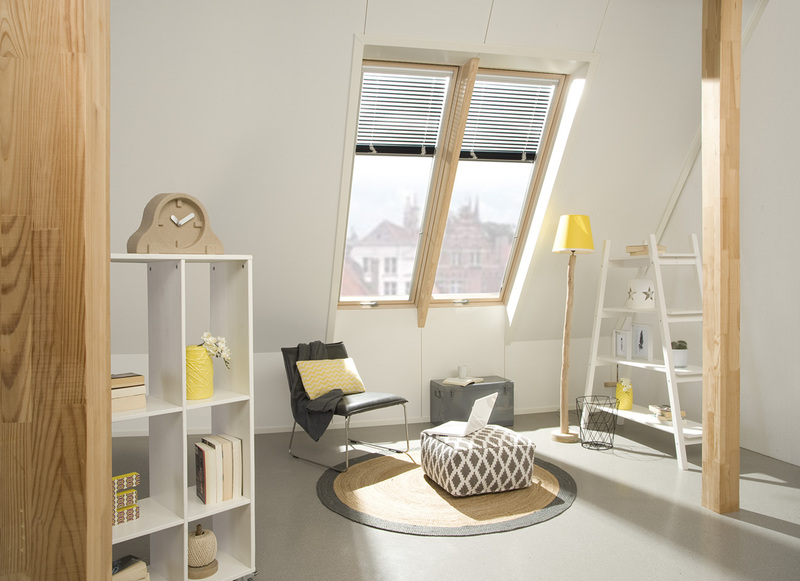 By organizing this space remember about the appropriate illumination, which is extremely important when working.FAKRO range also includes products that will provide the right amount of natural light to the living room under the flat roof.